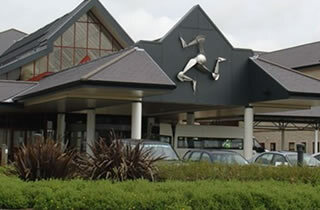 Noble’s Hospital is situated on the Isle of Man, which is located in the Irish Sea, between the islands of Great Britain and Ireland. The Isle of Man covers a total area of 221 square miles with picturesque coast lines, glens, hills, plantations, rivers and even a 621 metre (2036ft) mountain called Snaefell. Douglas is the capital boasting a beautiful 2mile bay and there are 17 parishes across the island with lots to see and do. Noble’s Hospital became an IMPACT course centre in 2012 and the Medical Education & Resuscitation Department jointly run at least one IMPACT course each year. If you would like to incorporate education with a short break, there are good travel links from UK and Ireland either by sea or air and plenty of attractive places to stay.